So, beginning in 2011, Yellowman joined in tribal appeals to the Obama administration to make Bears Ears—named for a prominent pair of hills held sacred by the tribes—into a national monument. This was finally granted in 2016. But what Obama granteth, Trump taketh away. On December 4, the interior department announced revocation of protected status for these two sacred spots filled with natural wonders. Bears Ears National Monument is to be shrunk 85% and the nearby Grand Staircase Escalante—designated in 1996 by President Clinton—cut in half, lopping off a total of 2 million acres. The decision has led to a flurry of lawsuits by environmental groups and supporters and by five Native American tribes: the Navajo, the Hopi, the Ute, the Ute Mountain Tribe, and the Zuni. The Diné are among a number of tribes with deep historic and cultural roots in the two memorial areas. The tribe still remembers the Long Walk in the 1860s, when they were forced to march some 300 miles, suffering hundreds of deaths. A few years later, however, they returned to their traditional homeland, albeit confined to a reduced area, inside four sacred mountains that designate their world, a mythscape of powerful beings and wise animals. This history of displacement and constraint lies behind the efforts of native peoples in the Southwestern United States to preserve these lands. They are sacred, tied together by thousands of years of history, by myths of coyotes and beavers, by the holiness of mountain and rock formations. The Trump administration, by contrast, is moving to open these monuments, and areas near them, to uranium and coal mining and drilling for gas and oil. Yellowman points to the medicinal herbs, wood for ceremonies, sand paintings, petroglyphs, and ruins, including Hogans lived in by the Diné ancestors, as reasons to maintain these monuments. He remembers growing up with “coyotes, deer, elk, bears, foxes, bunnies, lizards, spiders” as well as eagles and hawks. He remembers “stories pertaining to those animal people and coyote stories” and songs. Tribal connections to the land are primeval, with knowledge predating European contact by millennia. 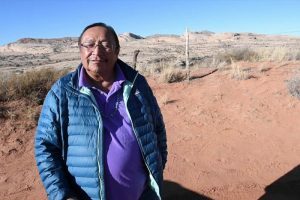 A recent University of Utah discovery of a new breed of potato at Escalante, Utah was known by native people for almost 11,000 years, explains Braidan Weeks, Communications Coordinator for Utah Diné Bikéyah. Indeed, natives were cultivating the potato to such an extent that the area was known as “potato valley.” Absent native techniques, however, the potato has grown scant, making the source of the name quite mysterious. The knowledge that native people have often “is ignored out of hand,” says Weeks. Besides the Diné, Bears Ears and the Grand-Staircase Escalante have specific historical and religious significance for different tribes explains Weeks, a descendant of the Ute Tribes, White River community. The Utah Ute and other “bands of Ute have never stop using that area, have never stopped hunting, praying, and teaching kids and their families,” says Weeks. 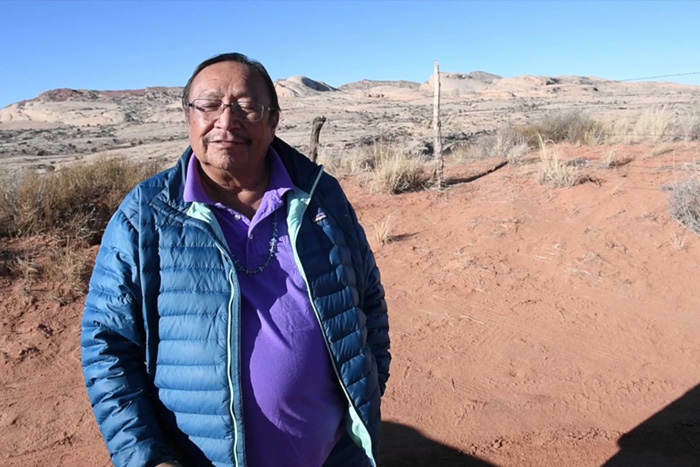 Yellowman also connects the attempt to bring drilling and mineral exploitation to sacred land to earlier uranium mining on Diné territory. “My relatives got sick when they worked out there,” he remembers. “They’re not with us today because of that. We don’t want to go through that again.” He worries that the drilling will pollute the confluence of the San Juan, Colorado, and Green rivers. Indeed, uranium and coal mining have a long ravaged Diné land and people. Protecting Bears Ears and Grand Staircase Escalante is just one part of a larger struggle. “Even this battle that we’re fighting is only the first part of what we want to accomplish,” says Gearon. She recalls a time when native people lived in the Grand Canyon and blanches at the thought of paying ever higher fees to enter national monuments, as proposed by the Trump administration. She worries that these grand landscapes will increasingly become a playground of the privileged. “Why do I have to pay to visit my own homeland?” she asks. Gearon goes so far as to question the ultimate need for national monuments and parks, which can be seen as dividing the natural world. “Why do we have to put laws and regulations in order to protect” nature, she asks. 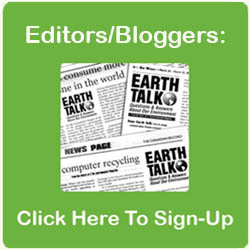 “If we can get people deeper into the worldview . . . of us native peoples . . . we wouldn’t feel much of a need to compartmentalize things like that, because we would all care for this place.” Of course, she recognizes the need for such protections under current circumstances, but she hopes for a radically different vision at some future point where everyone works as stewards for all of nature. Yellowman also upholds native views of the environment as sacred; “if you have a belief like we do, we are very traditional, they should honor that belief. Our way of life has been harassed, the way we live, the way we worship.” The victory in the waning days of the Obama administration that preserved Bears Ears was bitterly short-lived and must now be refought and re-litigated.